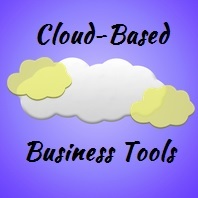 Businesses of all sizes are increasingly taking advantage of cloud storage and cloud services. Cloud computing is a growing technology with many types of offerings, but essentially it is a way for companies, and individuals, to store their data shared transmission space. Once data is stored in a cloud, it’s accessible from multiple points and is automatically backed up. Cloud storage can be beneficial for businesses of any size, but one of the things that makes it so helpful for small businesses in particular is its accessibility. With cloud storage your small business can achieve data backup and recovery without having an entire IT team at hand. Also alluring is the fact that storage costs for cloud services are much less than paying for hardware on site to do the same thing. There’s a lot to choose from out there, though. In this article we break down some of the best cloud services for small businesses and startups with 20 or less employees. Many people are familiar with Dropbox’s free service, which is easy to use for personal files. Its business version also syncs and shares files between the cloud and computers and mobile devices, but adds capacity for multiple users. The business version also provides added security and a way to track and recovers previous versions of files. $795 per year (1 TB of storage for up to five users); 14-day trial. Box centralizes business data, and allows you to go beyond file storage and sharing with features like sharing screenshots and screencasts from a desktop. Also popular with personal users, this is another cloud-based file storage and sharing service that small businesses can take advantage of. You may have known it as Google Docs – Drive allows you to make and edit documents through your browser, and will tie in with other Google products if you’re using them, like Gmail, Google+ and Chrome. 5 GB for free; 25 GB for $2.49 per month, or 100 GB for $4.99 per month (with higher-capacity storage plans available). For all the Windows users out there, SkyDrive integrates with Windows operating systems. It will sync device settings and apps, files, and folders with your Windows PC or your Windows phone. (Although if you’re a Mac user you can use it too). SkyDrive’s “Fetch” services will let you pull files off an online PC even if you hadn’t uploaded them to SkyDrive previously. 7 GB for free; add 20, 50, or 100 GB for $10, $25, or $50 per year, respectively. While you can share documents with FreshBooks, it offers way more, most notably client and product records, and invoice creation and dispatching. It also gives you a way to keep on top of time tracking and expenses.